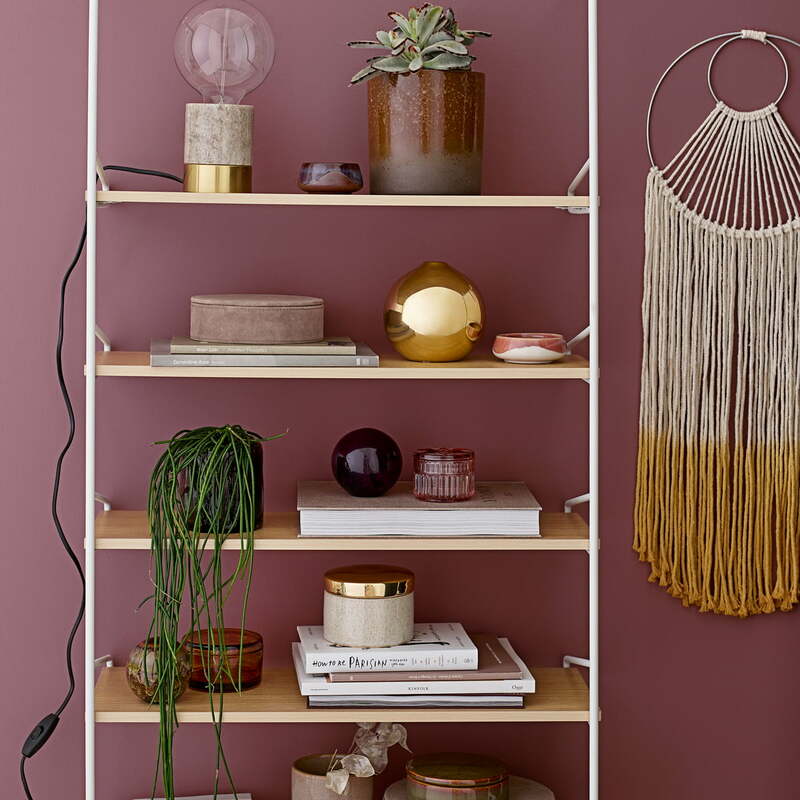 The set of 2 dark brown glass storage containers by Bloomingville are characterised by their decorative facets reminiscent of crystal glass. They are equally suitable for modern as well as contemporary interiors. 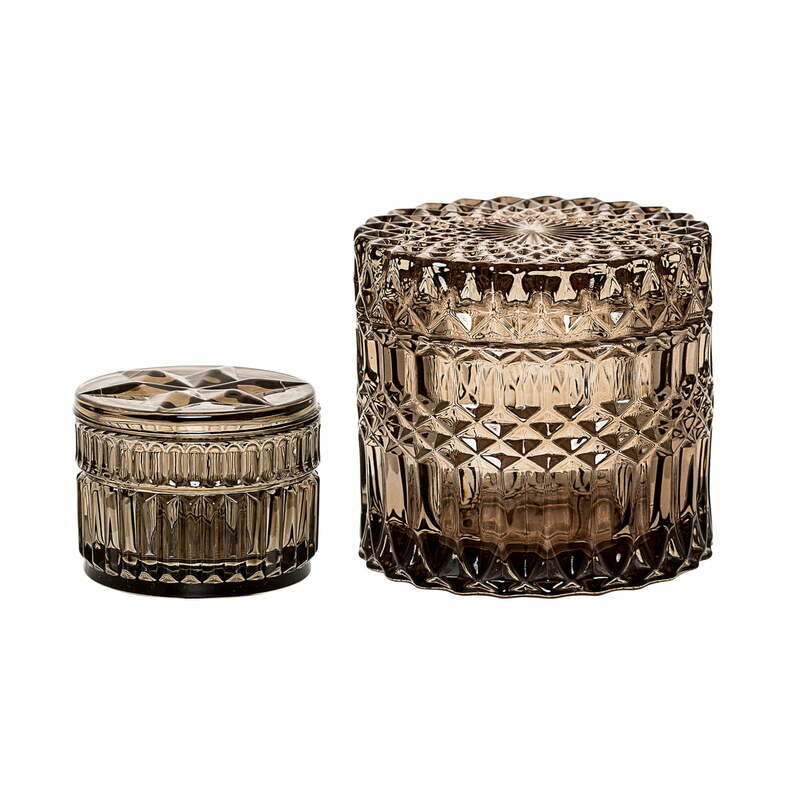 The storage jar is made from brown glass and is offered in a set of 2 pieces of different sizes. Biscuits as well as sweets, jewellery, buttons, cotton pads and much more can be kept in the jars. Even without content, the glasses are beautiful, decorative objects for the coffee table or shelf. The set of 2 dark brown glass storage containers by Bloomingville are characterised by their decorative facets reminiscent of crystal glass. They are equally suitable for modern as well as contemporary styled interiors.